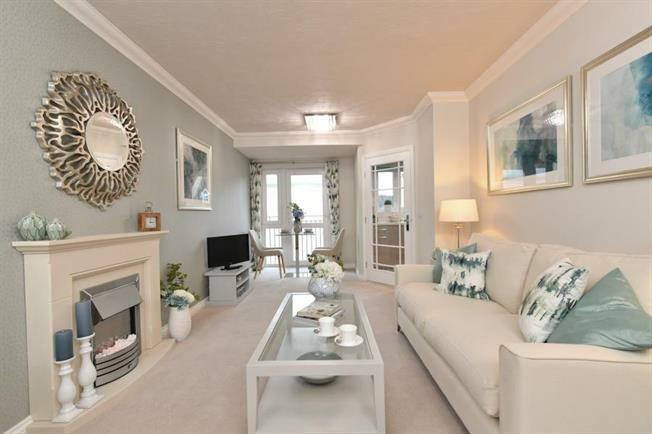 1 Bedroom Flat For Sale in Wells for £261,950. 1 & 2 bed apartments available to view. This stunning 1 bedroom apartment features a spacious living room, large bedroom with FITTED WARDBROBE a TILED SHOWER ROOM and a FULLY FITTED kitchen with an integral WASHER/DRYER and FRIDGE, FREEZER and a WAIST-HEIGHT OVEN to save bending down. This development also has a communal OWNERS' LOUNGE and COFFEE BAR. Located on West Street at the heart of this historic Cathedral city, St Athelm Lodge is a stylish development of 31 one and two bedroom retirement apartments. The development is well located for a good selection of shops and amenities including several supermarkets. The High Street is just a short distance away for shopping and entertainment and offers a more comprehensive range of amenities, with a mix of national and local retailers. Communal gardens are carefully landscaped, giving you the perfect place to relax and enjoy an afternoon cup of tea, without having to worry about the maintenance and upkeep that a large garden so often demands. The carefully designed Owners' Lounge comes complete with a coffee bar and is a popular feature, providing the perfect venue for entertaining, participating in activities organised by your Lodge Manager, or just relaxing with a book. Events include everything from fish and chip suppers to tea dances, giving you the chance to socialise as much as you like throughout the year.